Sorry, no Free Michael Nyman Sheet Music available for at present. The Promise "(Piano Solo). By Michael Nyman. For Piano Solo. Music Sales America. 20th Century, Film and TV. Softcover. 8 pages. Chester Music #CH68002. Published by Chester Music"
Michael Nyman - Film Music for Solo Piano "By Michael Nyman. For Piano Solo. Music Sales America. 20th Century, Film and TV. 48 pages. Chester Music #CH61400. Published by Chester Music"
The Heart Asks Pleasure First: The Promise / The Sacrifice "By Michael Nyman and The Piano (Movie). For piano, voice, and guitar (chords only). Film/TV. Piano/Vocal/Guitar. 2 pages. Published by Hal Leonard - Digital Sheet Music"
Michael Nyman: Wonderland (Solo Piano) "By Michael Nyman. For Piano Solo. Music Sales America. 20th Century, Film and TV. 24 pages. Music Sales #CH61744. Published by Music Sales"
Flugelhorn and Piano "By Michael Nyman. For Flugelhorn, Piano. Music Sales America. 20th Century. Book only. 20 pages. Chester Music #CH61001. 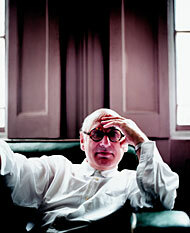 Published by Chester Music"
Michael Nyman: Concerto For Amplified Harpsichord And Strings "By Michael Nyman. For Harpsichord, String Orchestra. Music Sales America. 20th Century. 72 pages. Music Sales #CH61361. Published by Music Sales"